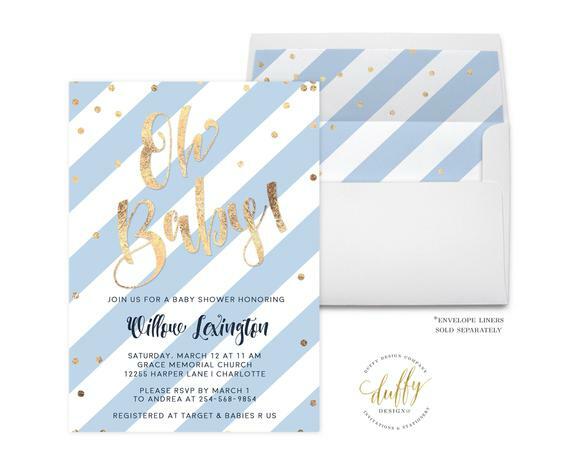 What could be cuter than this "Oh Boy" baby shower invite in blue, white, and gold! This is such a festive, stylish way to set the scene for your party. 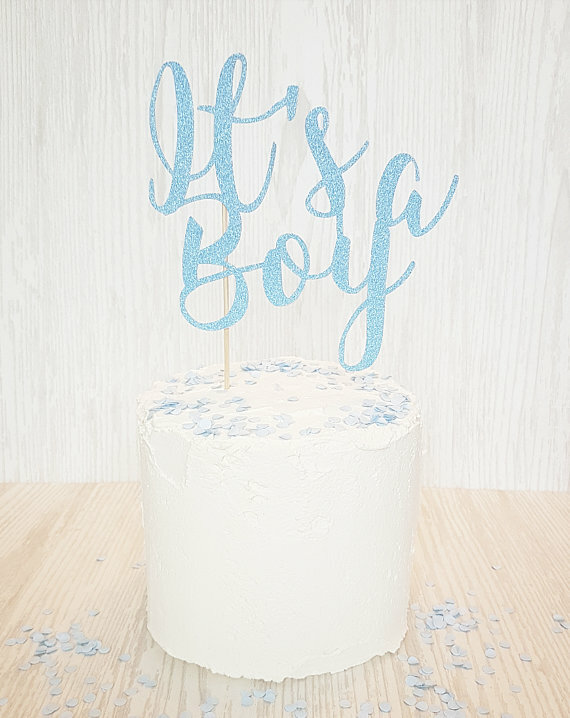 Transform a simple baby shower cake into an ultimate showstopper with one of there gorgeous "It´s a Boy" cake toppers. Love the blue sparkle and calligraphy. Get ready because your cake is sure to impress! 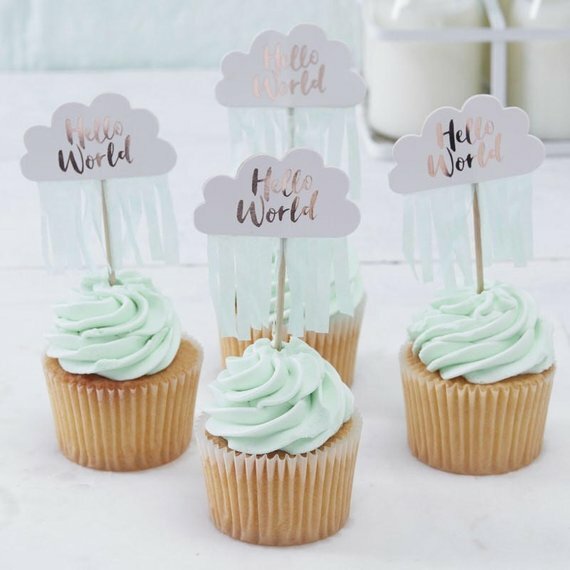 Check ot these adorable little cloud "Hello world" baby shower cupcake toppers. They are the perfect way to take your store-bought cupcakes to another level. 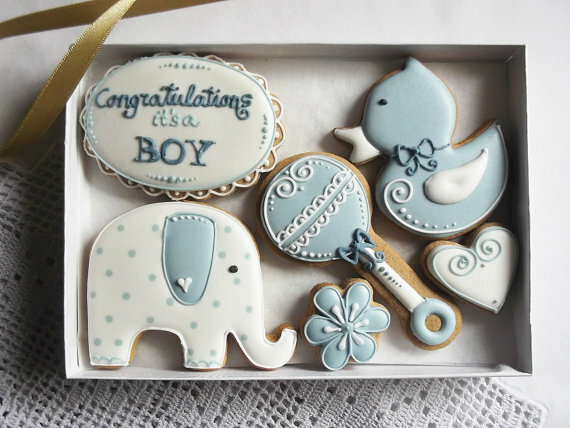 While searching for cute boy baby shower party supplies, we found this beautiful mix of baby shower themed sugar cookies. Love the little rattle and duck. You can tell so much love and dedication has gone into decorating them. So, go ahead an order some for your little boy's baby shower. 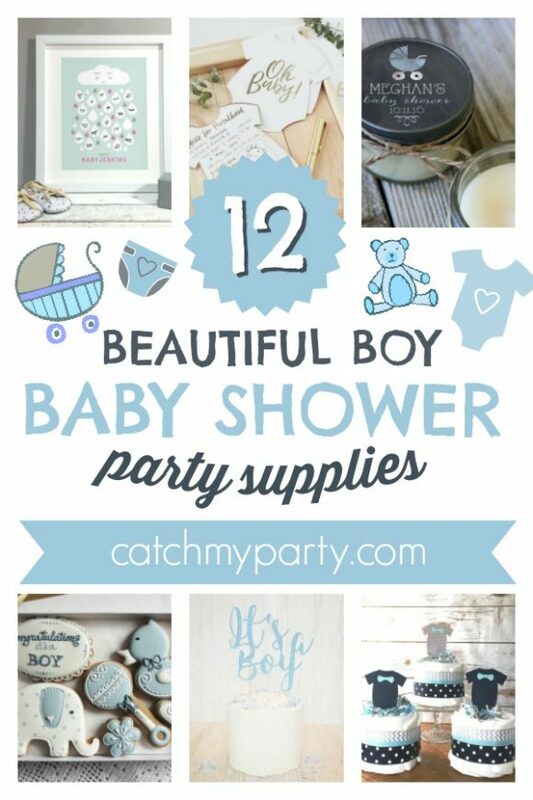 You don't need to spend a small fortune or too much time on your boy baby shower decorations. 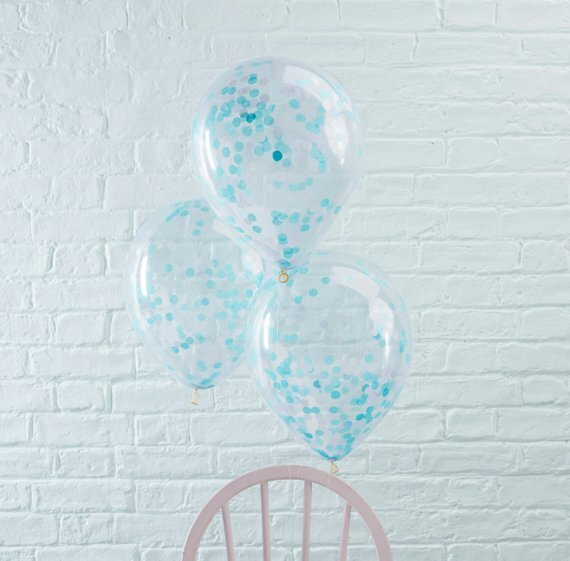 Just place a bunch of these wonderful blue confetti-filled transparent balloons around your dessert table for an easy and pretty party decoration! 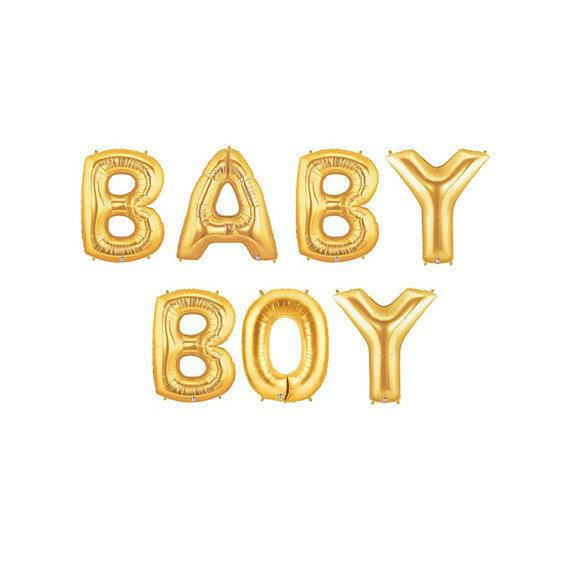 How about decorating your dessert table backdrop with these adorable 'Baby Boy' gold foil balloons? They are easy to set up and will look absolutely amazing at your party! 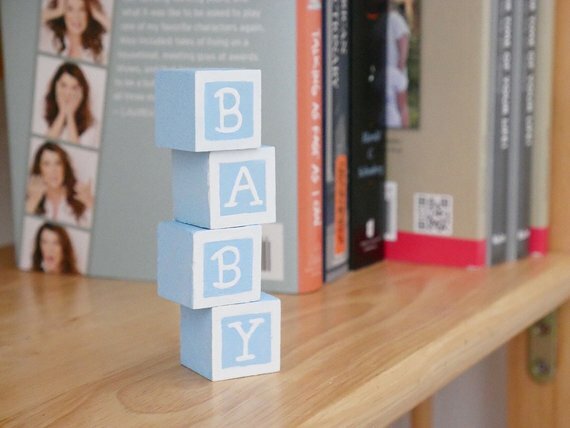 If you're looking for a fun centerpiece or simply more boy baby shower decorations, then don't miss these traditional blue baby blocks. They are so cute and can double as a nursery decoration too! 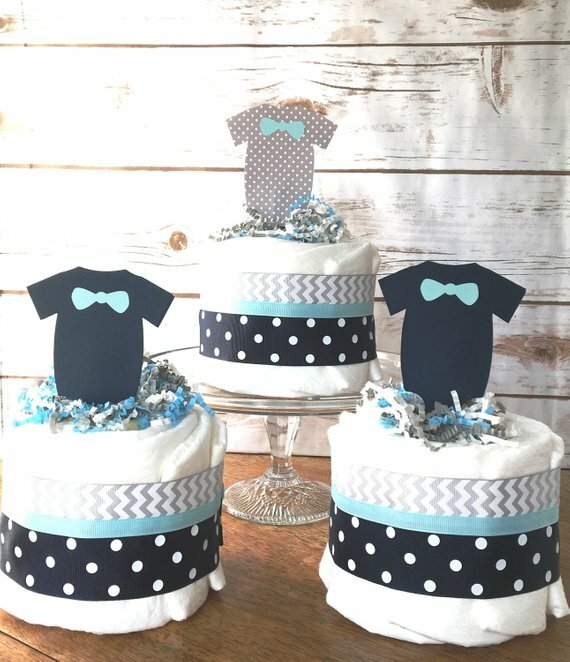 While going through boy baby shower party supplies we came across these adorable little man inspired diaper cakes. Although traditionally diaper cakes are gifts at a baby showers, this one is just so cute, we think it makes a gorgeous party decoration or centerpiece. 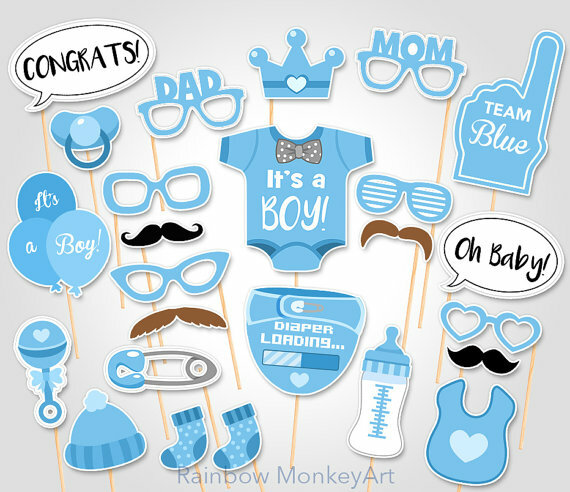 Have fun at your party with these very blue baby shower photo booth props. Pose with your friends and make lots of memories. You're going to love looking back at them and showing them to your little boy! Another fun baby shower idea for a boy is this gorgous guest book poster. It's a wonderful twist on the traditional baby shower guest book. Have your friends sign their name and hang it on your nursery wall to cherish for years to come. Everyone loves giving out advice at a baby shower ,so how about collecting all this advice by having your friends fill in these cute little card onesies with lots of tips to help you through motherhood. Place them in a little box and you've got yourself a fantastic keepsake too! 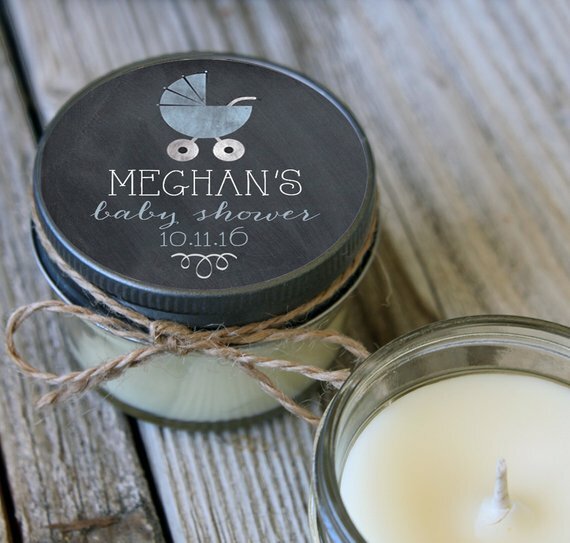 To finish off our boy baby shower party supplies list, we've added this pretty eco-friendly soy wax candle infused with fragrance and pure essential oils. They are the perfect baby shower party favor for your guests to take home with them and enjoy.